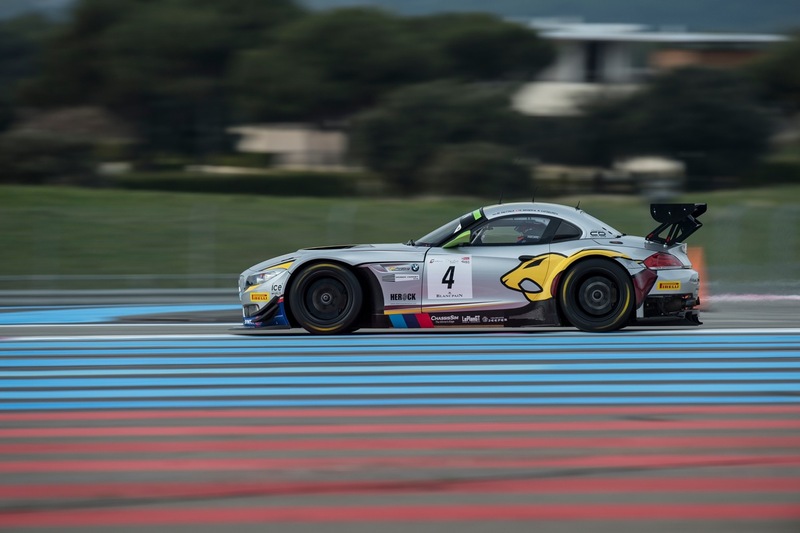 Markus Palttala, Henri Moser and Andrea Piccini finished 21st overall and 15th in Pro Cup at Paul Ricard, France, when an early race incident dropped the trio over a lap down and out of top 50 after a great start. The other Marc VDS BMW Z4 of Bas Leinders, Yelmer Buurman and Maxime Martin won the race getting Marc VDS back in the title hunt after a difficult start to the season. Markus Palttala, Henri Moser and Nicky Catsburg finished 5th in the 2nd round of the Blancpain Endurance Series in Silverstone, UK, despite having suffered a drive through penalty during the 1st hour of the 3 hour race. The Marc VDS BMW Z4 #4 trio started from 22nd on the grid of 57 cars but all drivers showed great pace fighting to top 5 to score valuable championship points.